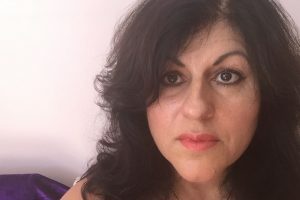 Anita tells us about her amazing Near Death Experience where she was at end stage with stage 4 lymphoma and had a wonderful spiritual experience in the meeting place in the spirit world where she was greeted by her father and other dear friends. She realised her own ( and everbody’s) true magnificence as a spirit being and that she had lived her life in fear and had not achieved her true life purpose. She was given the chance to return to the physical world to be her true self and fulfill her purpose, knowing that she would now be cancer free. Her story was discovered by Dr Wayne Dyer who encouraged her to write this book. She has many interviews and talks on you tube as she now travels the world sharing her amazing experience. She attributes her cancer to fear manifesting as a “Dis-ease”. This may be controversial but many specialist Oncologists have reviewed her notes and are unable to provide a medical explanation for her miraculous recovery. 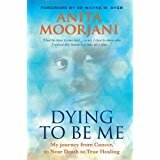 Anita’s message of just being yourself and allowing your life purpose to come to you as you live fearlessly was a very important message to me and changed the way I live. I would never of created The Spirit Shop had I listed to fear. I urge you to either read the book or at least watch one of her many videos online to hear what she has to say….